However, entrepreneurs who are keen to buy an existing sunbed business should do their homework, and offer other beauty services to cater to a larger clientele. The average age in South Africa is 26 years, which shows it is a young, developing country, with a population of approximately 57 million people. Less than 63% of South Africa’s population live in urban areas and cities. South Africa’s total revenue in the health and beauty spa industry reached R1.54bn in 2016, according to estimates. There has also been a rise in the number of unisex beauty salons opening, with more opportunities for business expansion as a focus on male grooming becomes increasingly common. The beauty industry is often divided into hair, skin, nails, cosmetics and oral hygiene; in South Africa skincare has the highest market share. Before you decide what type of tanning salon to buy, you should research how popular sunbed use is in South Africa, especially if you have no previous experience running a salon or working within the beauty sector. Location is an important aspect to consider when buying any business, especially one that relies on attracting a certain type of demographic. Although it is good to be located in an urban, built-up area, you should also consider what competition there is around you. If there is already an abundance of beauty salons which include sunbeds, then it could be a good idea to venture further afield. Solarscape is the largest sunbed company in South Africa with more than 25 years of experience in the industry and a number of locations across the country. 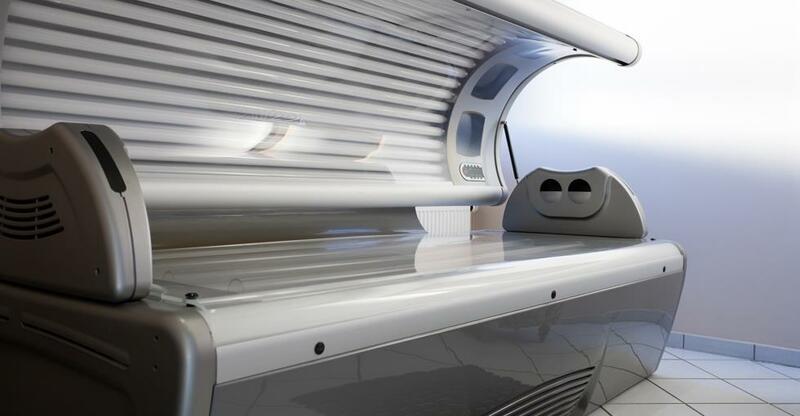 Their ‘tan can’ is a sunbed that can be set up in convenient locations such as pharmacies, beauty salons and fitness centres, and Solarscape offer monthly or annual membership schemes to increase customer loyalty. Solarscape is the biggest competitor to any small independent tanning salon; however, the business model is run without any personal, customer interaction. Consider what other beauty services you may want to offer your customers to try and find that competitive edge over large corporate companies. You should also factor in the size of the premise; although a large space offers more room for sunbeds and equipment, the overheads of running a large premise and your utility bills could stump the business growth. You should also look for a premise that has good main street visibility and a high footfall to attract more customers. When you’re discussing the business proposition with a broker or the proprietor, make sure you are informed of what assets are incorporated in the business sale. What equipment will be included and what condition is it in? Will the business need a lot of restoration and repair, if so, what are the costs involved? You should also consider other non-tangible assets such as the business’ reputation and regular customer base. Will the seller be taking their clients with them to another salon, or is the vendor leaving the industry altogether? Will you be keeping the current employees and managerial team? If not, how much time and money will you need to spend to find and train a new work team? You should also ask to review the last five years of the bookkeeping and accounts to check that the turnover and profit figures add up and there are no nasty surprises after the sale goes through. In South Africa, finance for buying an existing business is treated differently to financing a start-up. An existing business has turnover figures and financial forecasts based on previous years of trading; having this information on hand makes lenders more comfortable, as there is less risk of ‘the unknown’. South African citizens can benefit from financial resources provided by Government Lending Agencies; determining the most suitable finance options will depend on the amount of money you need to borrow in order to buy the business. SEFA (Small Enterprise Finance Agency) fund both small and large amounts, on the condition you can show that the business will be sustainable. For foreign investors who are keen to buy a business in South Africa, you should make sure you have the correct business visa in place. For business visa holders, you must invest R5 million into the business unless you qualify for a waiver. The Independent Financial skills permit is an unrestricted business permit that allows the holder complete freedom to invest or purchase a South African business. It is worth checking if you qualify for this permit, as it will significantly ease business investment restrictions. The online version of the Yellow Pages shows that a total of 40 web-advertised beauty facilities include a sunbed, and the northern province of Gauteng has the highest number of tanning facilities. However, for entrepreneurs who are keen to own a tanning salon, you should go in with your eyes open and educate yourself on the adverse effects of using sunbeds. When considering what beauty salon business is right for you, also consider how you can grow and develop the existing business and consider what other services you may include for customers who are skincare conscious. A good entrepreneur should always look ahead; consider how popular sunbeds will be in 10 years’ time and keep abreast of new trends and developments in the tanning sector.